The court of the Chief Judicial Magistrate of Kamrup (M) on Thursday granted bail to pro-talk leaders of the outfit United Liberation Front of Asom (ULFA) Mrinal Hazarika and Jiten Dutta. The two pro-talk ULFA leaders were granted bail against bond worth Rs 20,000 each. Advocate Bijan Mahajan, who appeared in the court of CJM, Kamrup (M) for Hazarika and Dutta, informed that the police had submitted the case diary before the court in the cases lodged against Mrinal Hazarika and Jiten Dutta. It may be mentioned that Hazarika was arrested on November 2, 2018 in connection with a case lodged at Geetanagar Police Station for making provocative statement in Guwahati on October 23 last. Dutta, who was detained by Gaurisagar police in Sivasagar district on November 2, 2018, was arrested on November 3, 2018 for making provocative statement on Citizenship (Amendment) Bill 2016 issue. Both of the pro-talk ULFA leaders were sent to 14-day judicial custody by the court of CJM, Kamrup (M). While Hazarika came out of the jail on Thursday, Dutta will be released on Friday as his term of 14-day judicial custody will end only on Friday. 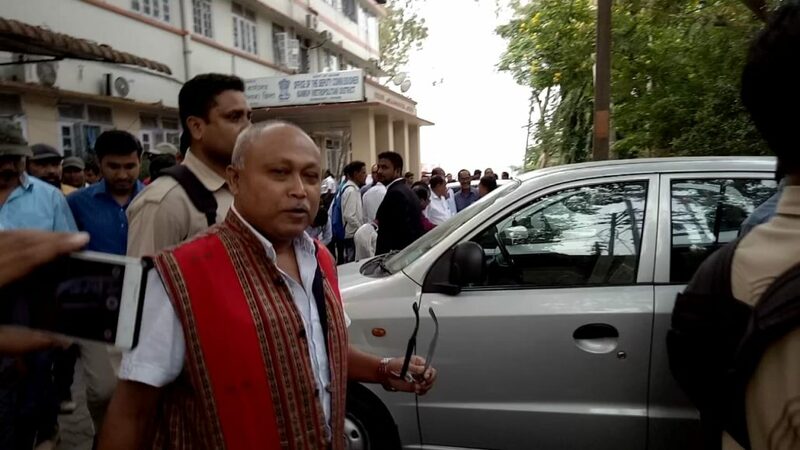 Meanwhile, another pro-talk ULFA leader Prabal Neog along with supporters of Mrinal Hazarika and Jiten Dutta shouted slogans like ‘Mrinal Hazarika Zinadabad’, ‘Mrinal Hazarika long live’ outside the court of CJM, Kamrup (M) to welcome Hazarika, who had been under 14-day judicial custody from November 2. Moreover, talking about the ongoing peace talk process between pro-talk ULFA and the Government of India, Neog said the ‘whole process is nothing but a drama only’. Slamming the BJP-led Government for not taking any action against BJP’s Hojai MLA Shiladitya Dev, who also allegedly made ‘provocative’ statements, Neog questioned whether law is equal to all in the real sense. “There are a number of cases against Shiladitya Dev across the State. But the Government and police have not taken any action against him. This has proved that law is not equal to all,” Neog said.